We love creative Halloween activities for kids! 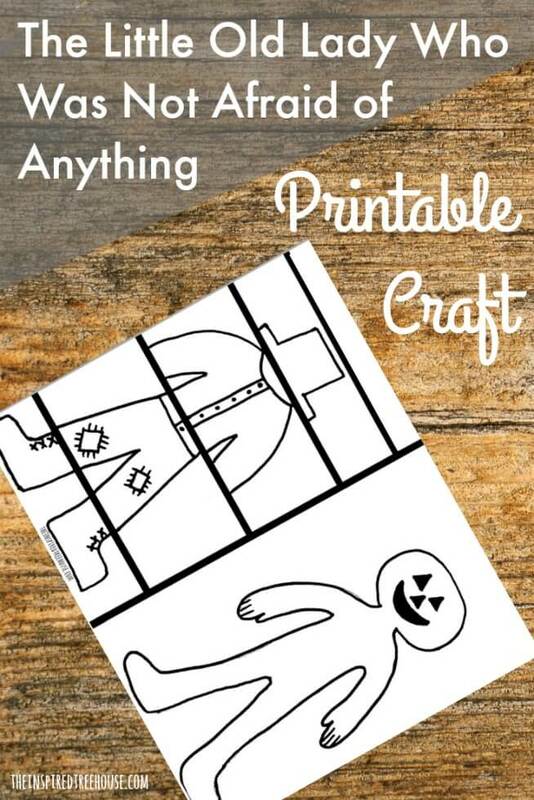 This one includes a free printable craft that goes along with one of our favorite Halloween books! Check out our spin on one of our favorite fall books: The Little Old Lady Who Was Not Afraid of Anything and then be sure to scroll down to see some of the other great ideas for reading and playing with your little one! After you’ve read the book and the kids have learned all of the motions, give each child a copy of the printable craft. Have them color the clothing like the illustrations in the book. Then, have the kids cut on the thick black lines so that each of the pieces of clothing is on its own strip of paper. Read through the pages of the book where each piece of clothing is introduced, see if the kids can remember the movements above, and glue the right piece of clothing onto the right part of the scarecrow as you read. Cut out white felt gloves to add to the scarecrows so they look like the one in the book! Glue on some small pieces of raffia to look like hay peeking out of the scarecrow’s collar and sleeves! -Highlight the thick black lines with a different color so kids are clear on where they should cut. 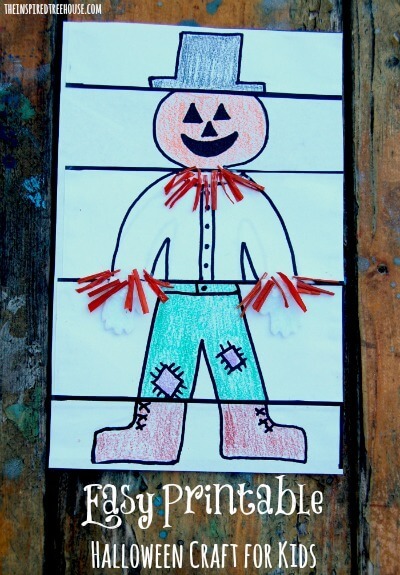 -For toddlers and kids who aren’t able to cut yet, cut the pieces out for them and have them dress up their scarecrow by gluing the clothing in the right places on the body. -Get a little more practice with scissors with these tips and activities! -Check out our winter printable craft for kids for more seasonal cutting practice! We love this book! What a great activity! When we lived in the Netherlands, we had a clown game where the clown was in “strips” like your scarecrow. I like your project, what it teaches, and the additional straws/decorations that add so much. Thanks!